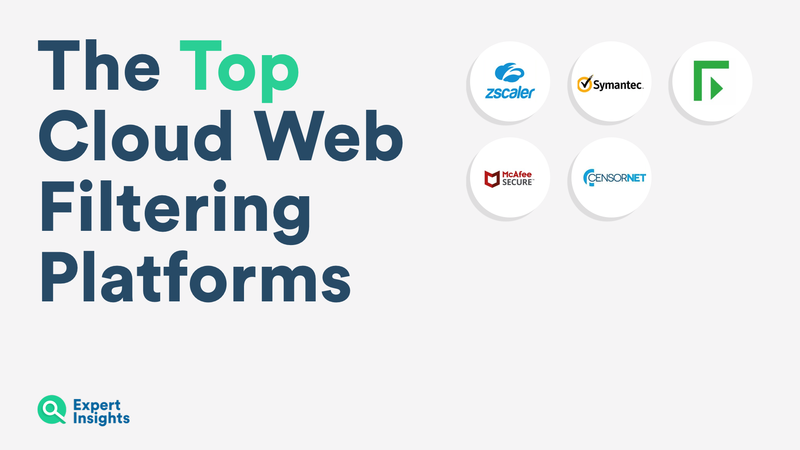 Discover the top Cloud Web Gateways for Businesses. Examine their features, security and reporting. Web security should be a top priority for your company. Malicious websites can give hackers access to your private data, therefore keeping employees safe online is extremely important. Your first line of defence should be a Web Gateway. They protect businesses by blocking online viruses and filtering dangerous websites. They also provide reporting of user behaviour online. To help you find the right product, here’s Expert Insights’ list of the top Email Secure Gateways. We’ll discuss their effectiveness at threat protection, the quality of reporting, what features they offer, as well as how well they protect your data. Zscaler is a market leading cloud-based secure web gateway. The Zscaler platforms defend against malware, browser exploits and more. The threat protection on offer is effective. It works in real time to increase the security of your organisation. Zscaler also offers real-time viewing of individual user behaviour. The service offers good analytics to help you get more knowledge about the online threats facing your organisation. Zscaler also offer a range of admin controls to help fine tune the service. Admins can set bandwidth controls and filter specific URLs. They can also set a ‘Continue Anyway’ function for advanced users. This means people who know a URL is safe can choose to access the site, even if the platform deems it unsafe. Customers love this service for its quick performance. A strength of this platform is that it offers advanced features but is still easy to manage and usable. It integrates well with Office 365 to block inbound email web threats. You can read our full review of Zscaler here. The Symantec Secure Web Gateway offers strong threat protection. It has a range of different features to protect your company. These include URL filtering, inbound and outbound threat protection, and a range of admin controls. Symantec is a dependable, effective service which you can trust. One of the major strengths of this service is that it is informed by Symantec’s huge Global Intelligence Network. This is one of the best threat intelligence networks available, and it provides real-time threat protection updates. Symantec also has a focus on data loss prevention. They have integrated a range of strong anti-virus products into this platform to help you achieve a secure network which also offers market-leading reports and analytics. Symantec is a reliable and trusted brand. This is a good web security option for large corporate clients, who need the strongest protection available, and are willing to pay a higher price. You can read our full review of Symantec Secure Web Gateway here. Forcepoint offers a cloud-based secure web gateway with a focus on protecting small to mid-sized organisations. They offer one of the highest levels of reporting and analytics, with over 10,000 different levels of analysis available. Forcepoint’s reports and monitoring of user behaviours are the standout features of this service. They offer comprehensive logs and filters. These are flexible, and clients can create custom categories for monitoring. They offer real-time analysis of behaviour and threat detection, even off the network. This is great for keeping people who work from home secure. Forcepoint also offers strong security. They block malicious sites and provide features to stop employees accessing dangerous websites. This service is very popular among customers, who argues it’s very powerful, but still easy to use. It’s very easy to deploy, with multiple options. If you represent a smaller to midsized company we’d recommend Forcepoint. You can read our full review of the Forcepoint service here. This platform offers a range of strong anti-virus and web security tools, which integrate with this security platform. McAfee GTI is a feature which creates a profile of dangerous websites and keywords. They use this tool to provide powerful web filtering and protection to businesses. As well as strong threat protection, McAfee offers granular admin policies and rules, which are flexible. This includes an administrator being able to block Facebook access for the accounting department, but allow it for the Marketing department. They could then drill down further, and allow Facebook, but block access to personal messaging on Facebook. McAfee ePolicy Orchestrator is an integrated feature which offers detailed reporting. This allows you to view where employees attempt to visit restricted websites. It also allows you to see when employees accessed content which goes against company policy. McAfee offers a powerful Web Secure Gateway. This service is suitable for a company which needs to monitor a large number of employees to ensure they’re secure online. You can read our full review of McAfee Web Gateway Cloud here. Censornet’s web security product used to be aimed at schools but now has moved over to commercial business protection. This platform has a focus on protecting employees from inappropriate content at work. It also blocks sites which can harm productivity such as games and social media. This service does not include malware protection as standard, but these are available as add-on services. Censornet filter over 500 different categories of web content, and billions of pages, to make sure employees cannot access harmful material. Their platform uses machine learning algorithms to monitor new URLs in real time. Admins can set a wide variety of rules to determine what web content employees can have access to. The platform gives you the option to open up the web to employees, while still blocking malicious content. But in return, you can set policies to show you if harmful or blacklisted content is accessed at work. The reporting add-on is comprehensive. It includes in-depth visualisation of behaviours. This shows you how people are browsing the web and what content they are looking at. Censornet is popular with customers as it keeps web speeds high and is a low-cost service. We recommend Censornet to smaller companies looking to make sure that their employees are not accessing harmful content online at a low price. You can read our full review of Censornet Web Security here. So there ends our list of the top 5 cloud web gateways. Each one brings unique features to the table, some better suited to larger companies, some offering great threat protection, some with a focus on logging user behaviour. Finding the one that best suits the needs of your business is crucial for you to improve your security.